Our criminal defense law firm represents individuals charged in Pennsylvania with drunk driving offenses. The majority of cases occur in Philadelphia County, but we handle matters in Bucks, Montgomery, Delaware, Chester, and even as far as Lackawanna (Scranton) county. In some of these cases the prosecution has introduced evidence to establish blood alcohol concentration above the legal limit (.08 or more). While the prosecution doesn’t always need to establish a specific BAC for DUI offenses, the more serious drunk driving charges do require evidence of a specific through either a blood draw or a breath test. While blood testing is more accurate, breath testing is more convenient! The purpose of this blog is to explain the difference between a portable breathalyzer, also known as a preliminary alcohol screening (PAS) and an evidential breath test (EBT). It’s important to first understand that police cannot arrest a person for drunk driving without establishing probable cause or reasonable suspicion to stop a person’s vehicle for suspicion of DUI. After probable cause or reasonable suspicion for the stop, police must then have probable cause to arrest a person. Without satisfying these requirements, the court will find that all of the evidence is inadmissible at trial as it violates a person’s rights under the US and Pennsylvania Constitutions (Article 1, Section 8 and the 4th & 14th Amendments). Your criminal defense lawyer can assert these rights through a motion to suppress evidence. Police use PAS tests to assist with a probable cause determination. These devices do not usually provide precise amounts of alcohol within a person’s system. They are small and portable which makes them convenient for roadside use but they aren’t always accurate. 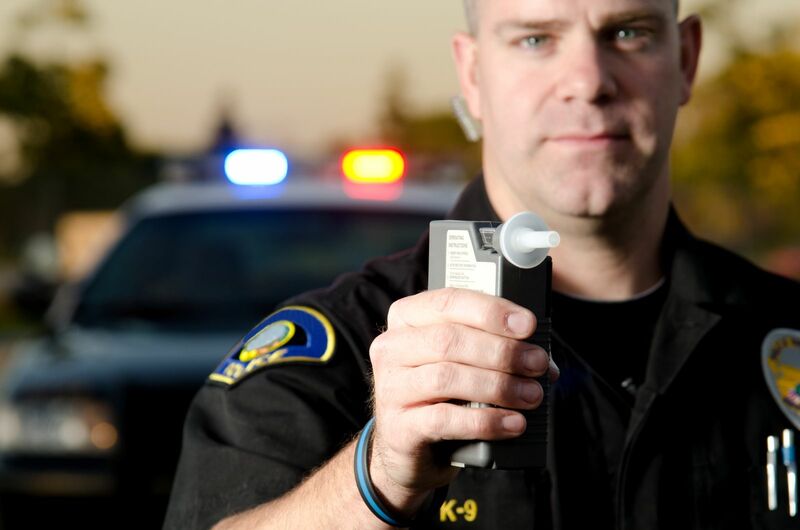 If the results of a PAS indicate the presence of alcohol, police can use it along with other factors (field sobriety failure, odor of alcohol, slurred speech, glassy eyes) to arrest a person for suspicion of DUI. Following that arrest, police will want a more accurate measurement to determine a driver’s BAC with the goal of obviously putting together enough evidence to result in a conviction in court. Remember that breathalyzer’s often give false positives as it presumes that the entire volume of air being measured is from a person’s lungs. The device can sometimes falsely provide elevated measures from alcohol trapped in a person’s mouth or esophagus. Alcohol can also be retained in dental work such as bridges, caps, and may also remain in the esophagus after vomiting or due to any sort of gastric reflux disorder. I have written previous blog articles on all of these topics, I encourage you to read them for more information. If you’re charged with drunk driving in Pennsylvania, it is important that your attorney review your pre-trial and trial options. For more information please download a copy of my 2 free books.